Hope your enjoying your labor day weekend! 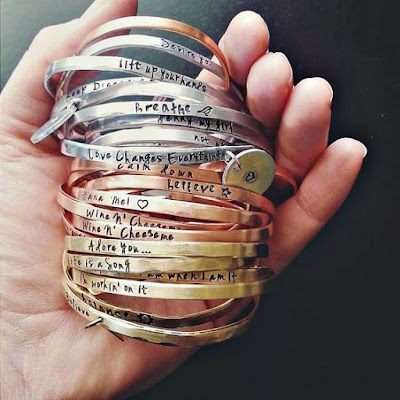 It's been awhile since I offered my readers a personalized goodie from my Etsy shop yourcharmedlife, so today I'm offering you a chance to win: THREE personalized hand stamped bangle bracelets! 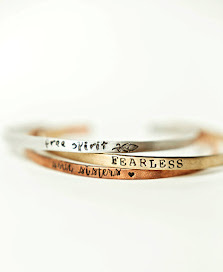 These bracelets are hand stamped with a hammer and letter shanks. The bracelets are handmade 100% by me. This is also my BEST SELLER! They make awesome gifts and a affordable way to stack and layer jewelry. You can enter today via Rafflecopter for your chance to win three! One winner gets too choose from three different metals and personalize anyway they want. Open to US only Runs for 7 days, please be sure to check your email to see if you won. I give you three days to respond then I pick another winner. I have two sisters, so I'd share them and keep one for myself. Thanks for the chance. I would give one to my sister and keep two for me! I love bangles. I will probably order some for Christmas gifts too! Great style and very affordable. They are SO me, I would wear them everywhere. All three would be for me so I could finally enjoy the stacked bracelet jingle- jangle trend! 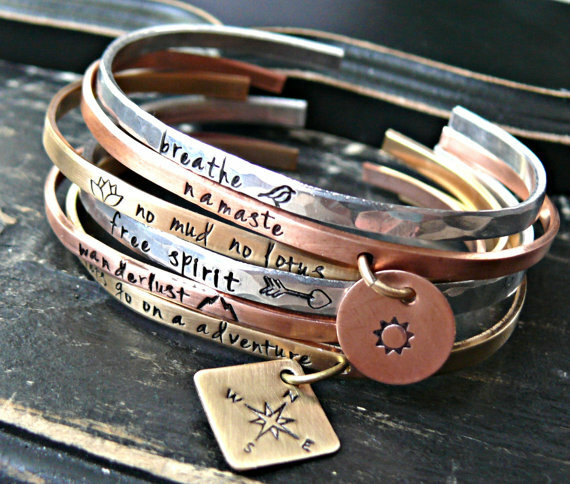 These bangles are lovely. I would share with my daughter. I would give one to each of my two sisters and keep one for myself! I would give these to my daughter. They are her style and would love to give her these messages. I'd give them to my husband. He wears more jewelry than I do. 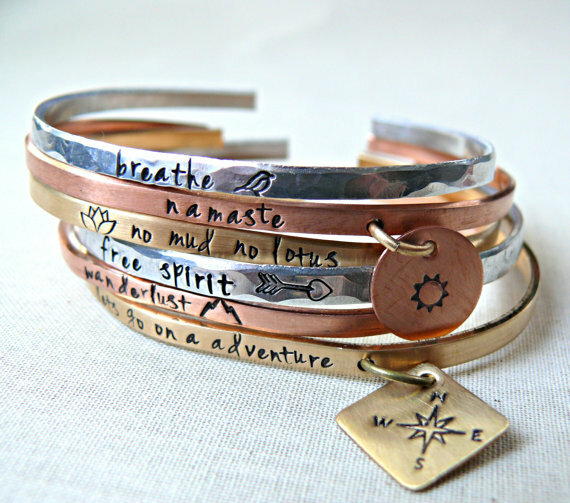 These are lovely bracelets, I would share the set with my sister and daughter. Thank you for the opportunity!